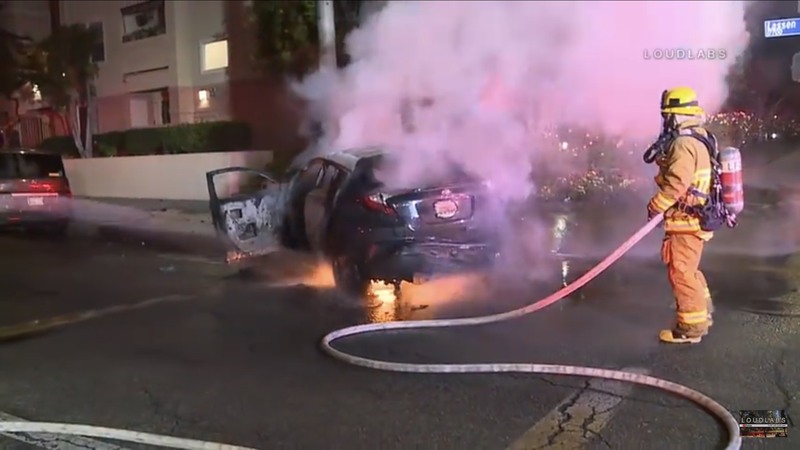 At approximately 0211, LAFD and LAPD responded to reports of a traffic collision with fire. A CSUN PD unit came up on the crash prior to LAFD arrival and attempted to assist with medical care. 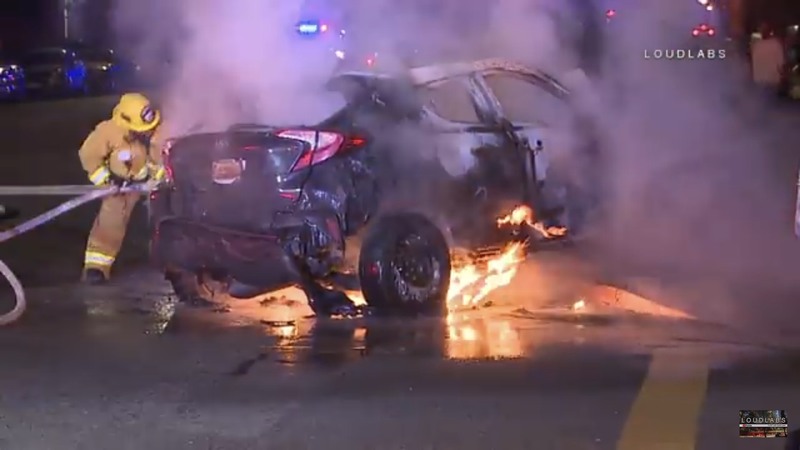 A good Samaritan pulled 2 people from the burning car, one female who was pronounced dead at the scene, and a male in critical condition. 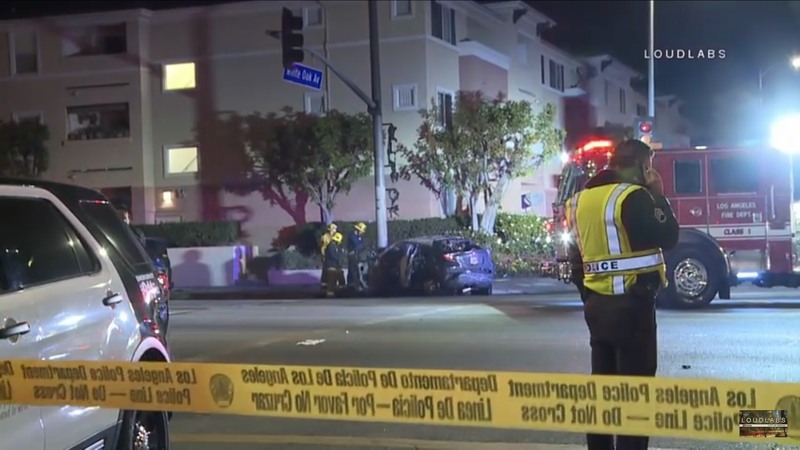 The good Samaritan fled the scene prior to LAPD arrival. 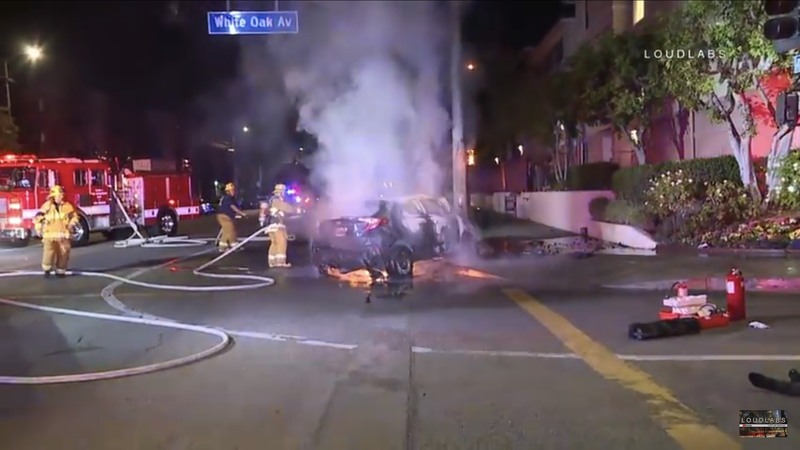 LAFD arrived to find a 4 door sedan engulfed with flames, that had struck a pole. 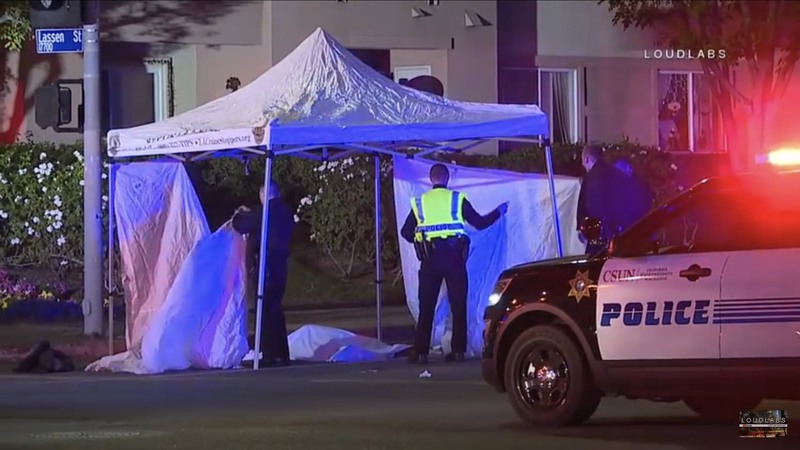 A 3rd victim was located on the sidewalk, and appeared to be conscious and talking. This appears to be a solo vehicle crash. LAPD is handling the incident. Road closures are unknown at this time, although the intersection of White Oak and Lassen is closed off.